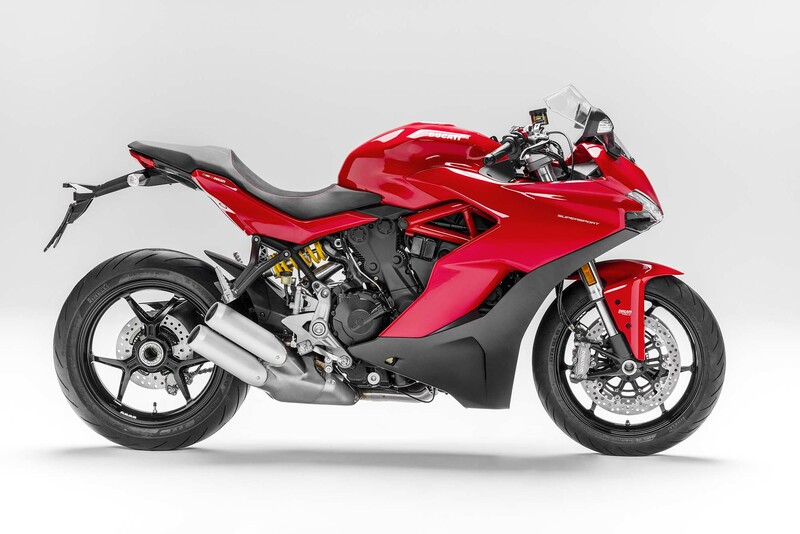 The Ducati SuperSport is back for the 2017 model year, bringing a street-focused sport bike into Ducati’s motorcycle lineup once again. 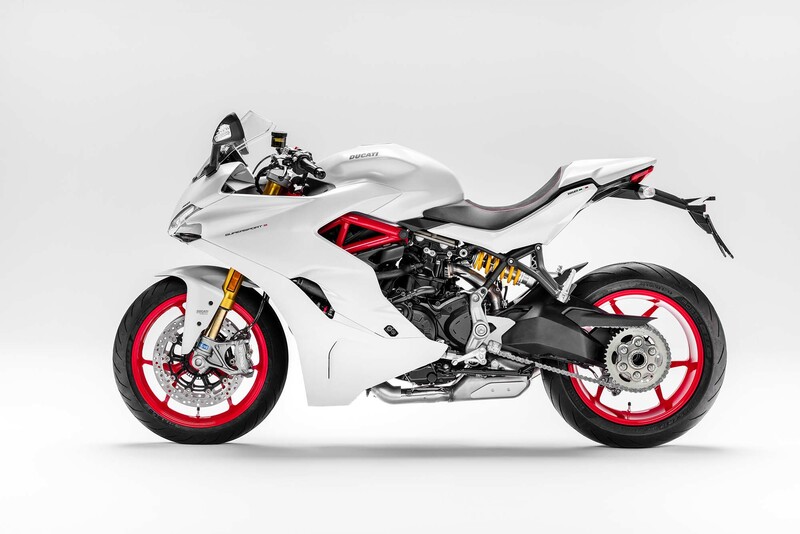 As you would expect, the 2017 Ducati SuperSport will come in two models, the SuperSport base model and a higher-spec SuperSport S model. 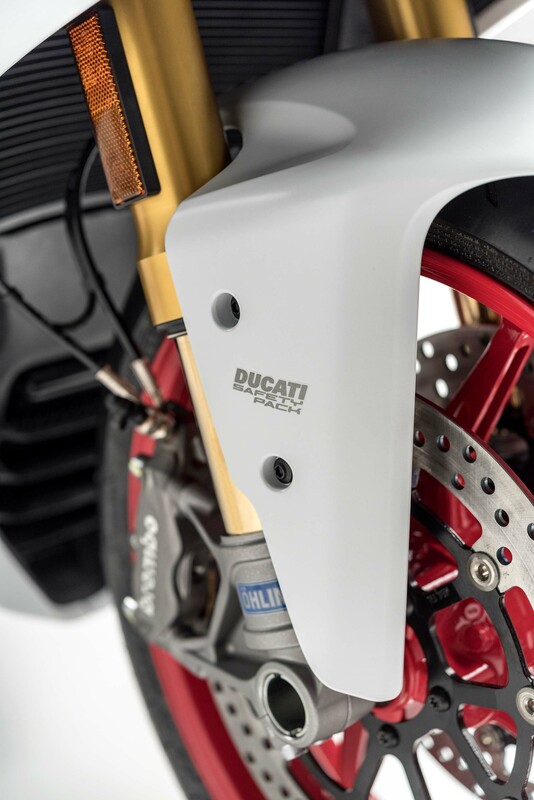 Both bikes use the 937cc, water-cooled, 113hp v-twin engine that’s found in the Ducati Hypermotard 939. 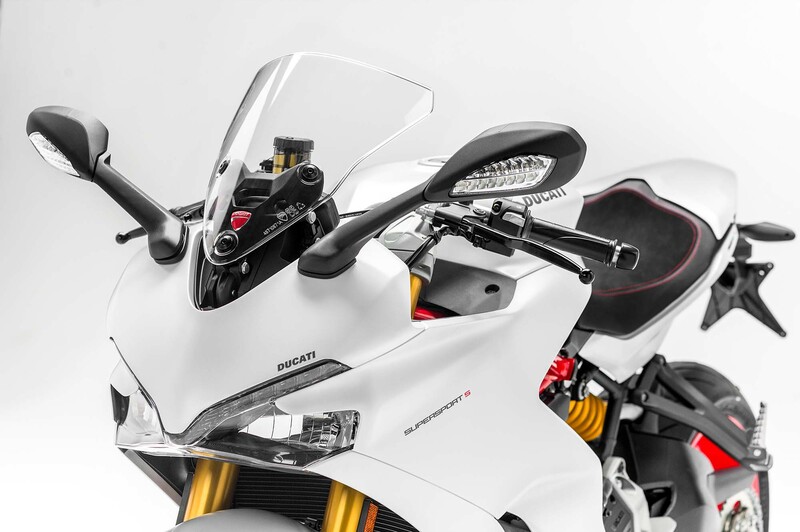 Ducati has also used a steel trellis frame for the SuperSport, which looks very similar to the one used on the current Monster line. 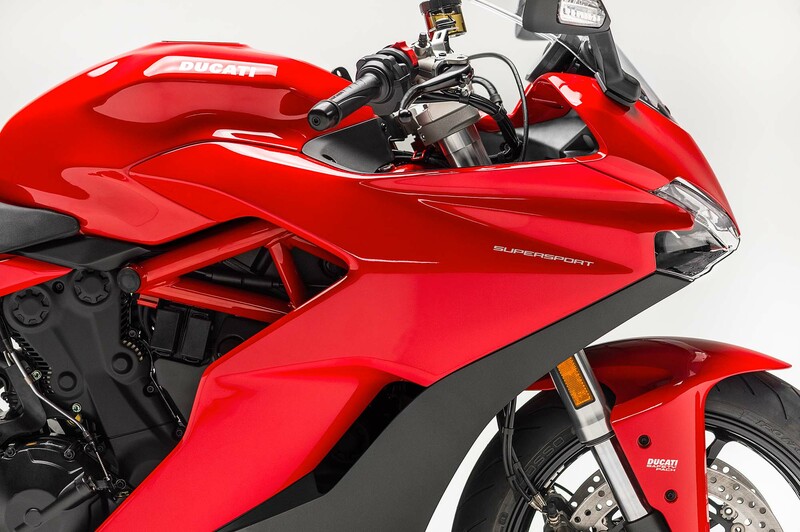 Obviously, the front fairing takes some cues from the Panigale superbike. 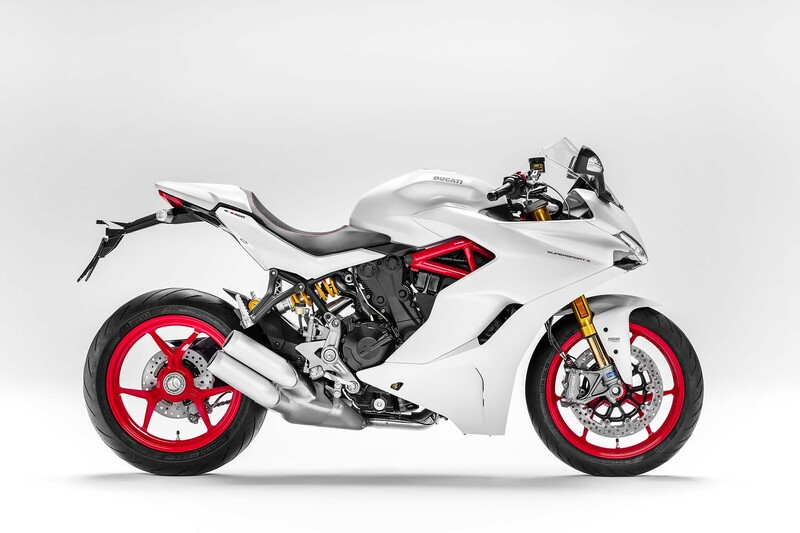 Ducati’s focus is for the SuperSport to augment its street lineup with something sporty that could go on the race track, but would be more at home on twisty roads, even with a passenger on the back. 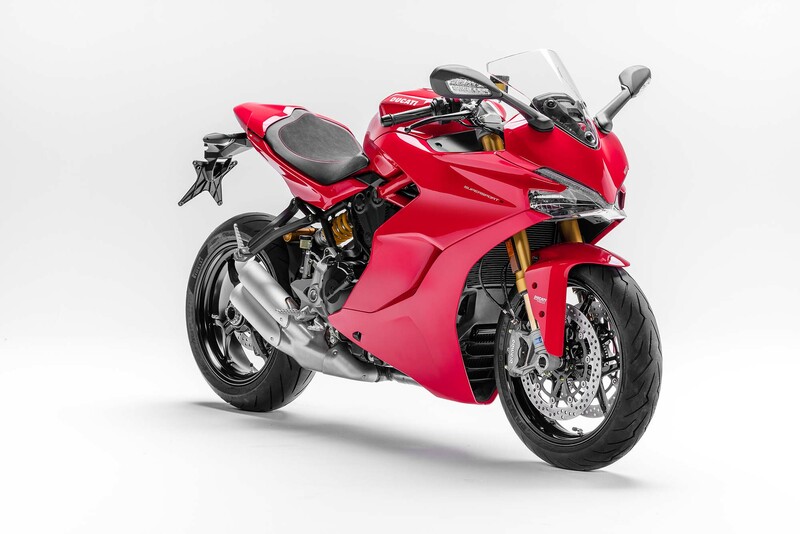 At 463 lbs at the curb, Ducati hopes that SuperSport will be the sport touring answer for riders that are still looking for something in this category. 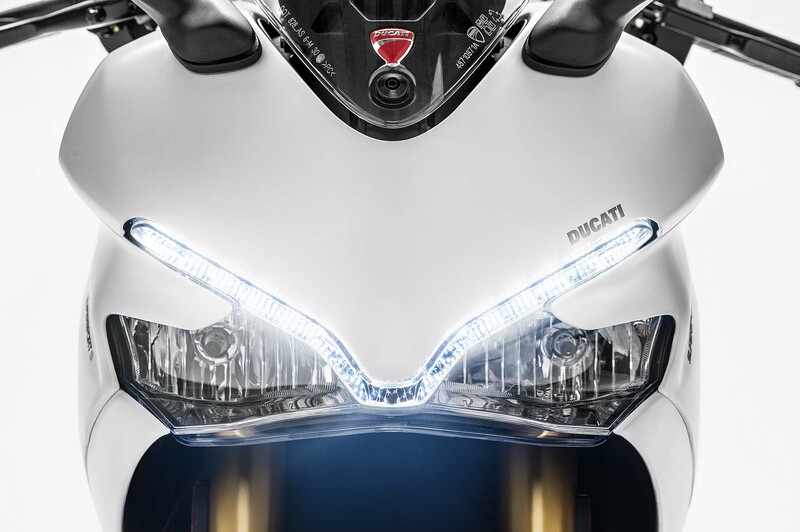 To aid this, the windscreen is adjustable with a single hand, and there is a daytime running LED headlight on the machine. 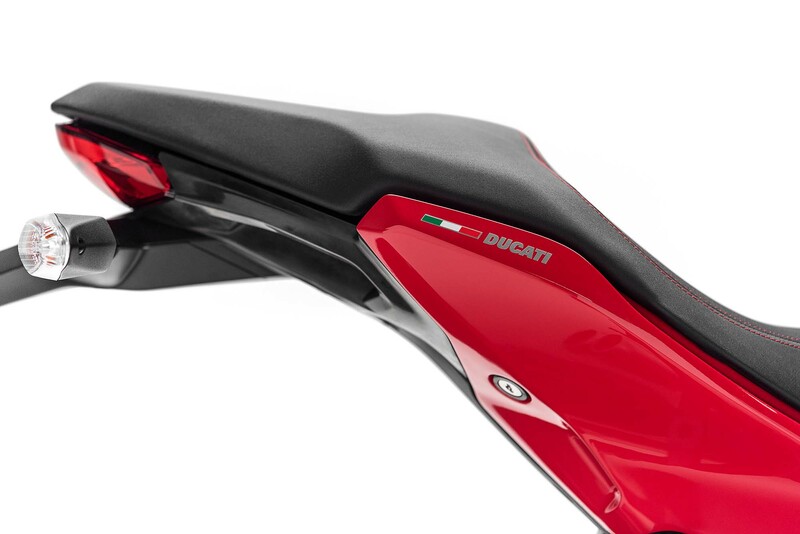 The sitting position is fairly upright, made possible by the high-rising clip-on handlebars, while the seat height is 31.8 inches. 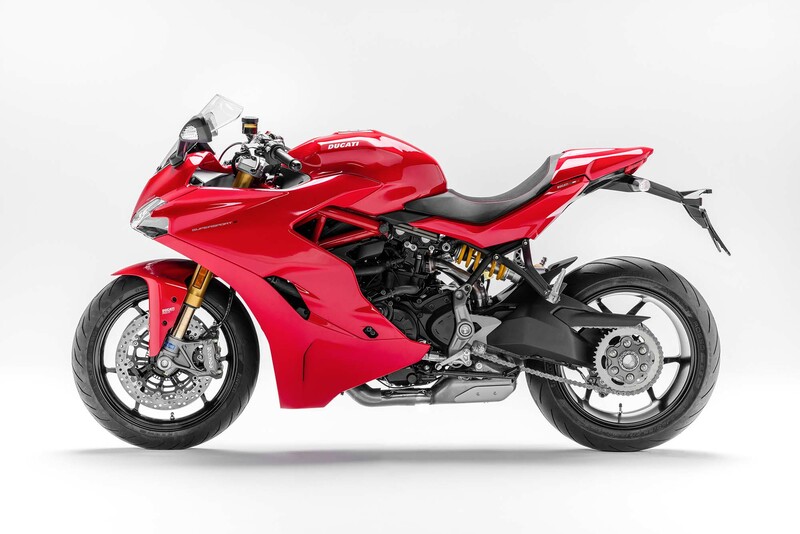 Ducati says the SuperSport has 48° of maximum lean. 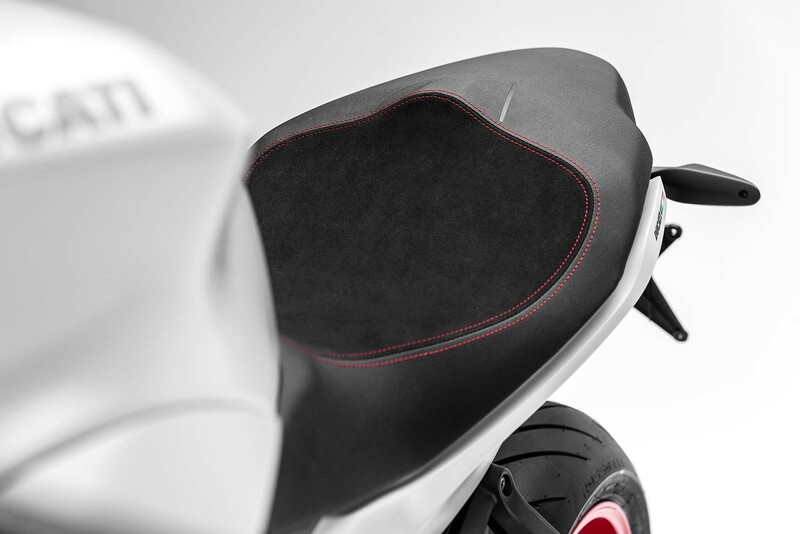 The fuel tank its 4.2 gallons (16 liters), which should give ample range for longer rides. 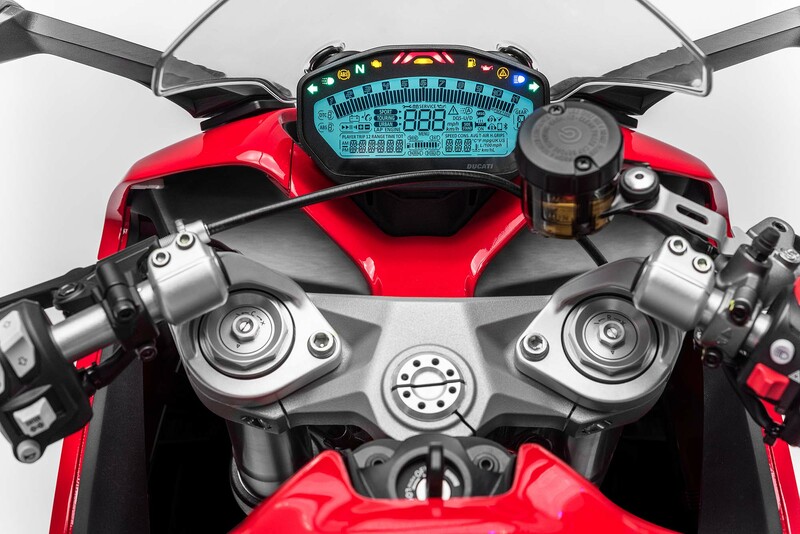 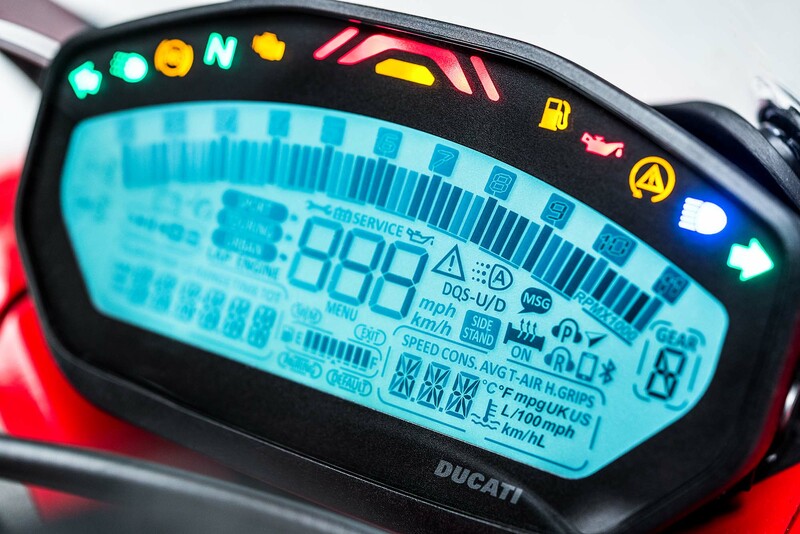 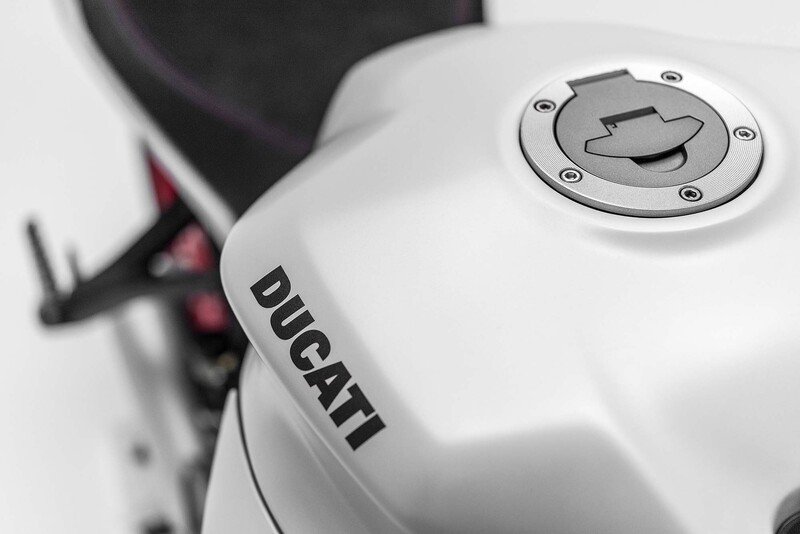 Electronics on both 2017 Ducati SuperSport models include ABS brakes, traction control, and three riding modes. 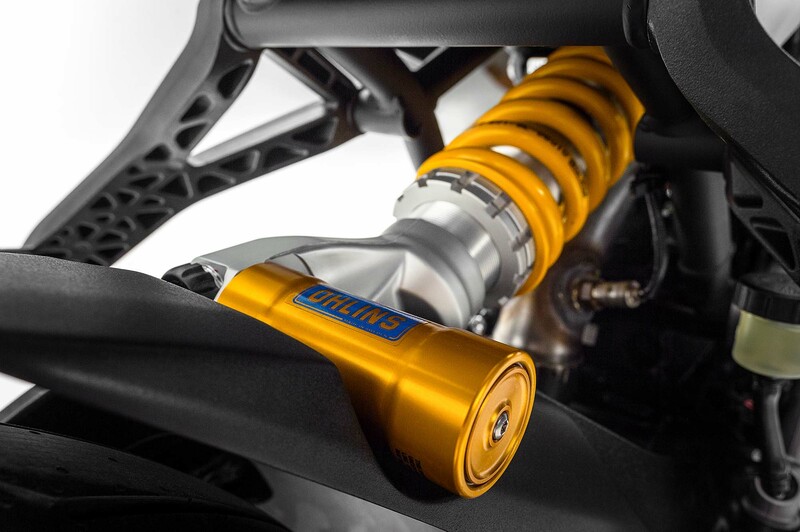 Meanwhile, all the suspension pieces are fully adjustable. 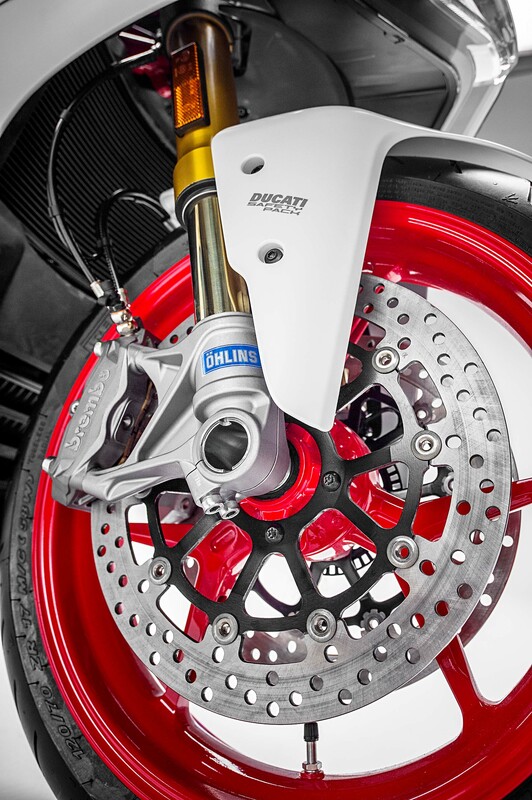 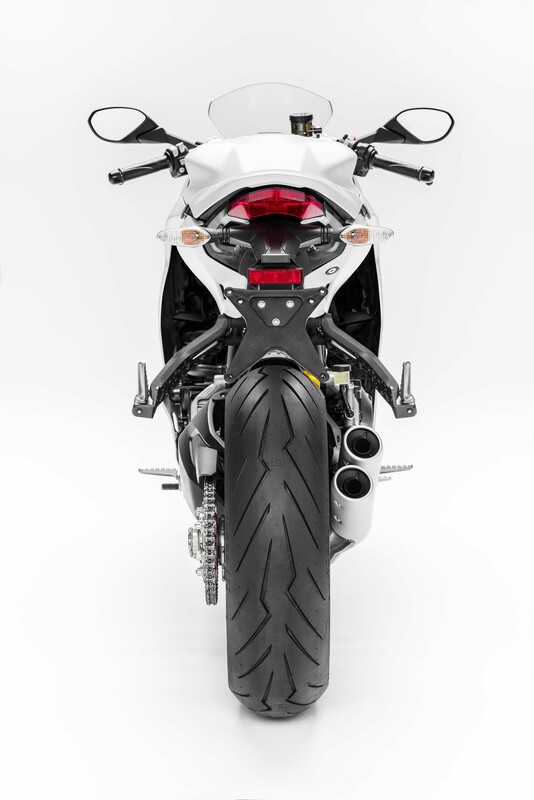 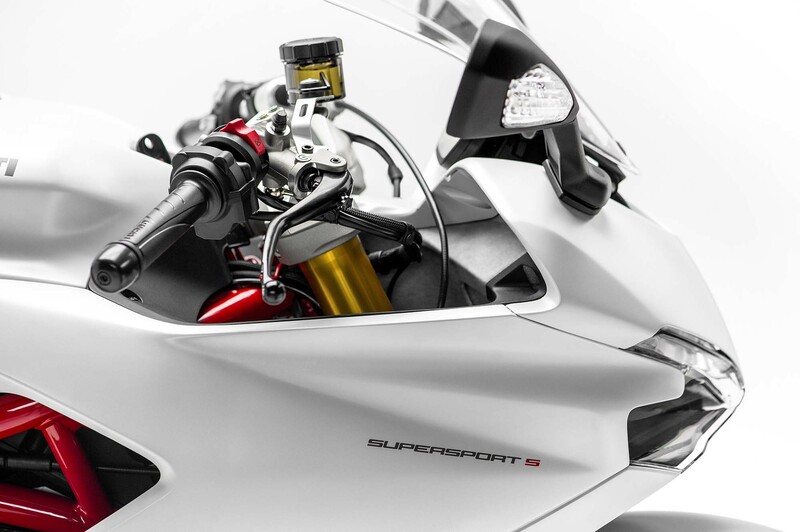 Of course, the Ducati SuperSport features Marzocchi forks and a Sachs rear shock, while the Ducati SuperSport S Öhlins units. 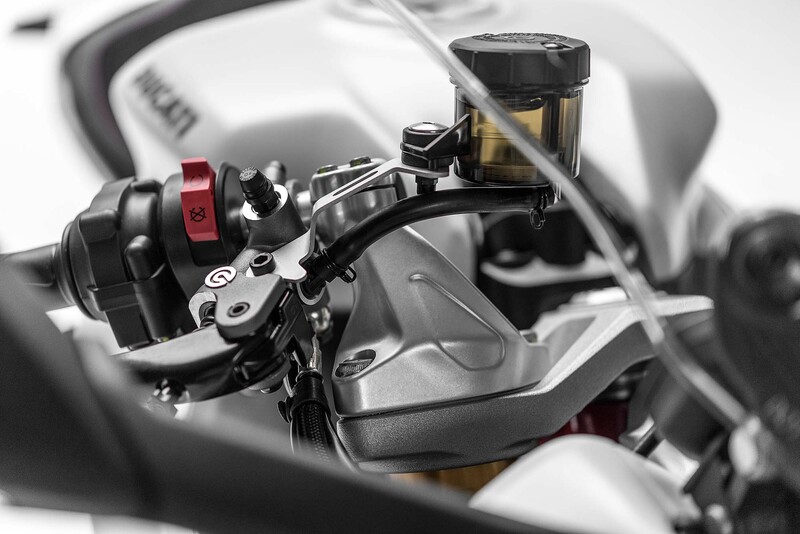 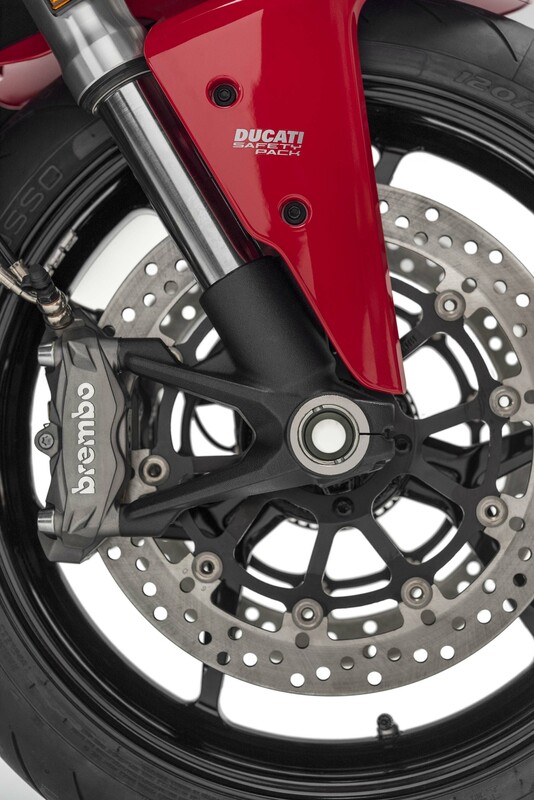 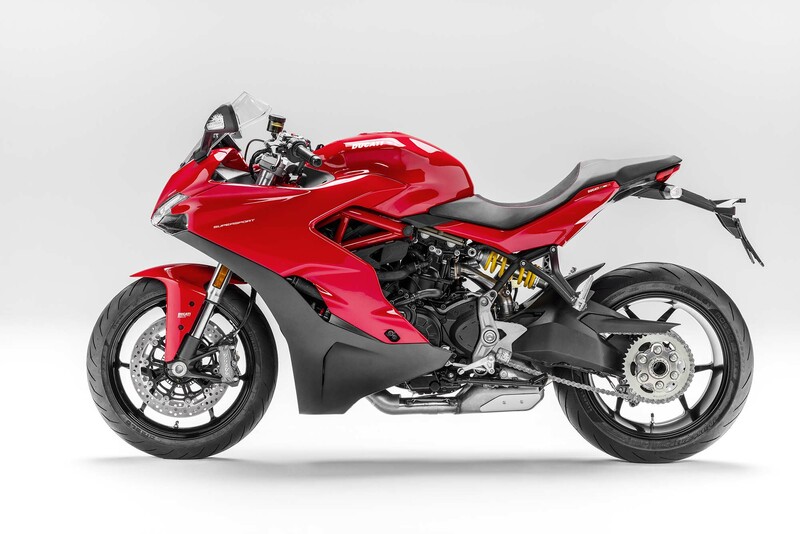 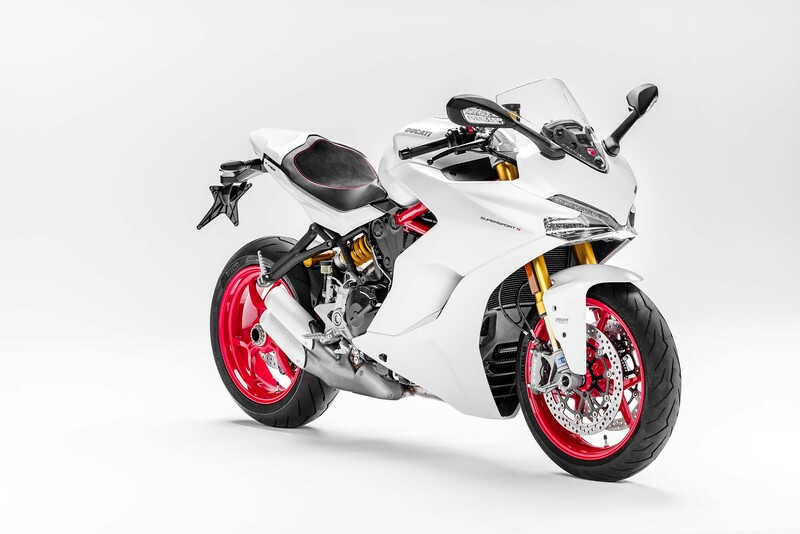 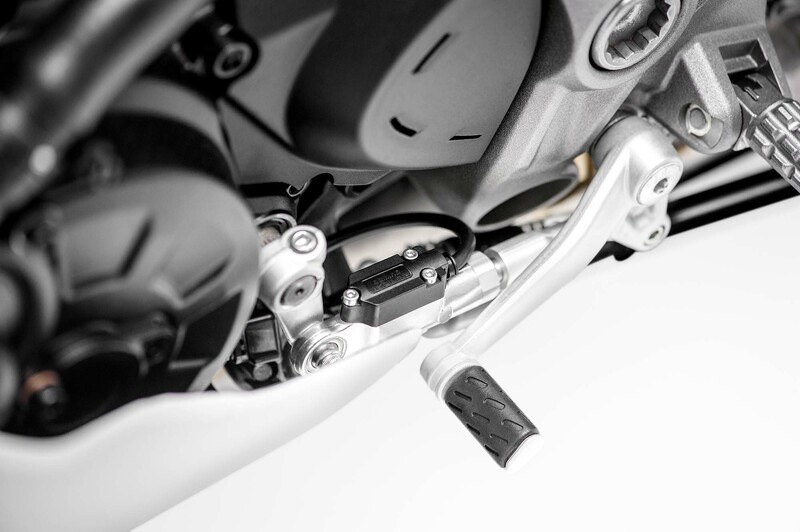 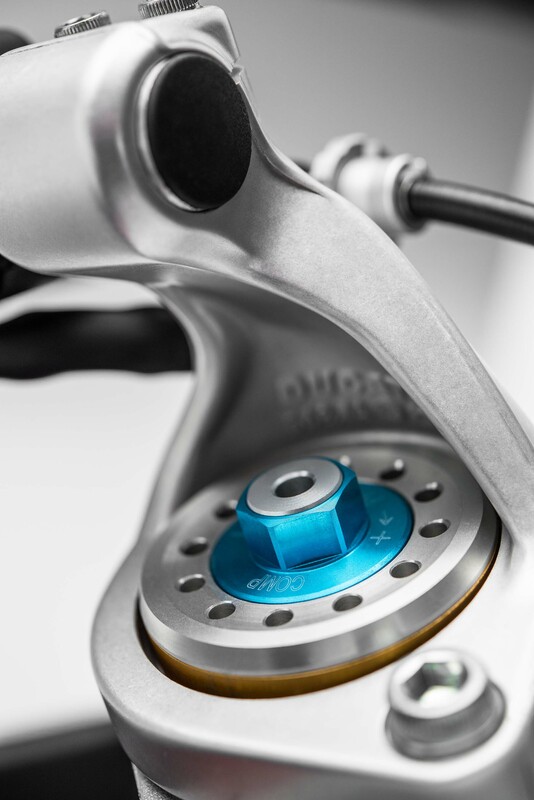 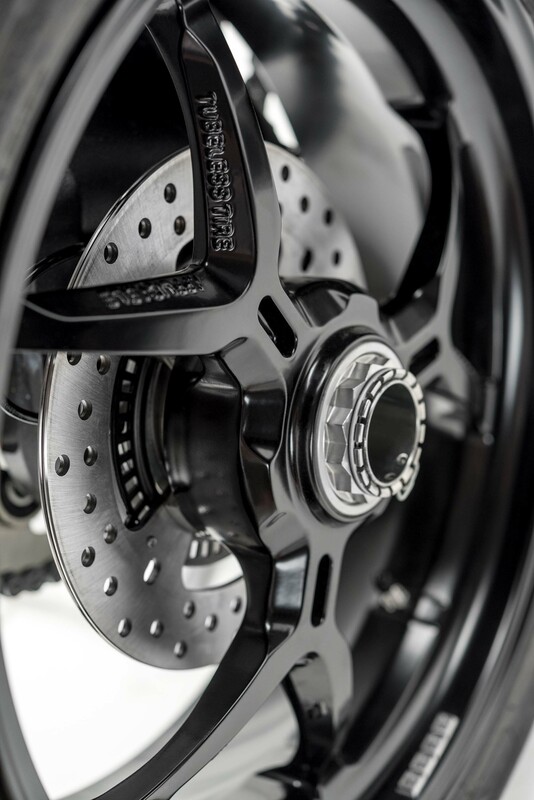 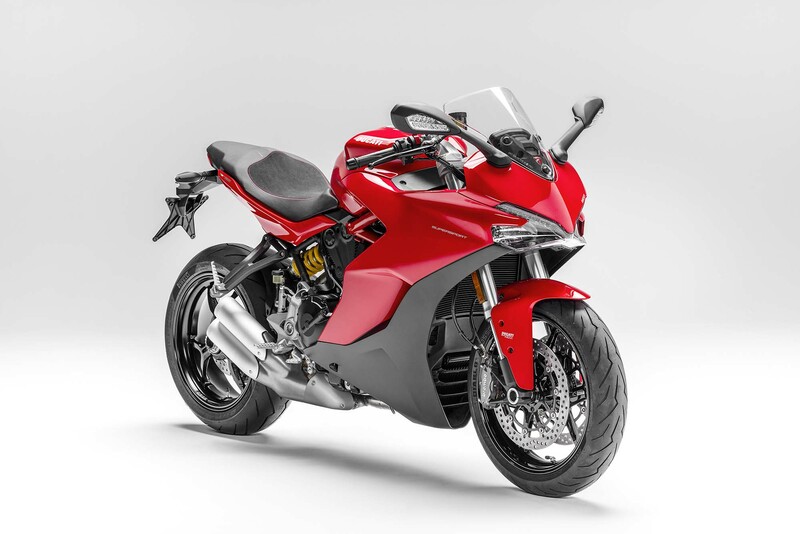 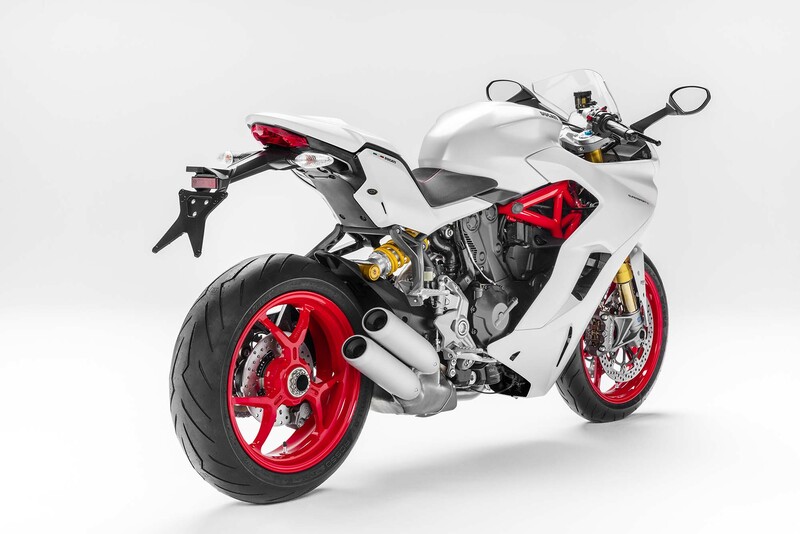 The Ducati SuperSport S also has an up-and-down quickshifter, which can be added to the base model SuperSport by a Ducati dealership, as can the “Sport” and “Touring” accessories packs. 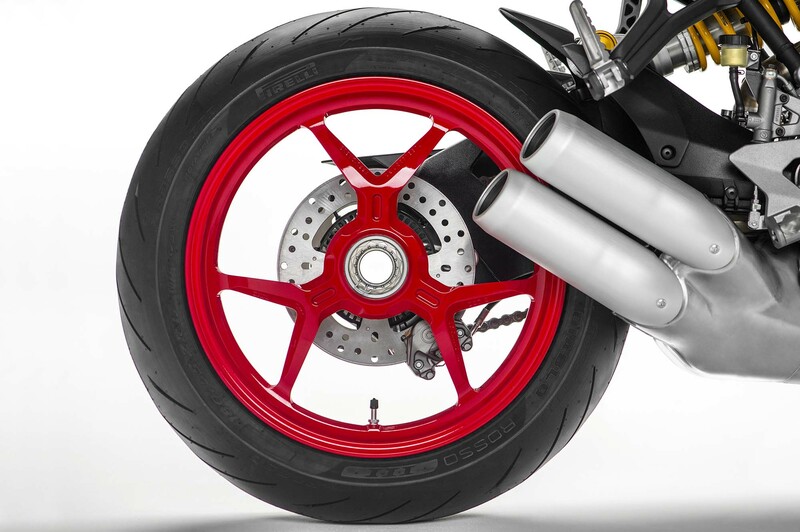 As always, Asphalt & Rubber will covering all the new bikes debuting at the INTERMOT and EICMA shows this year. 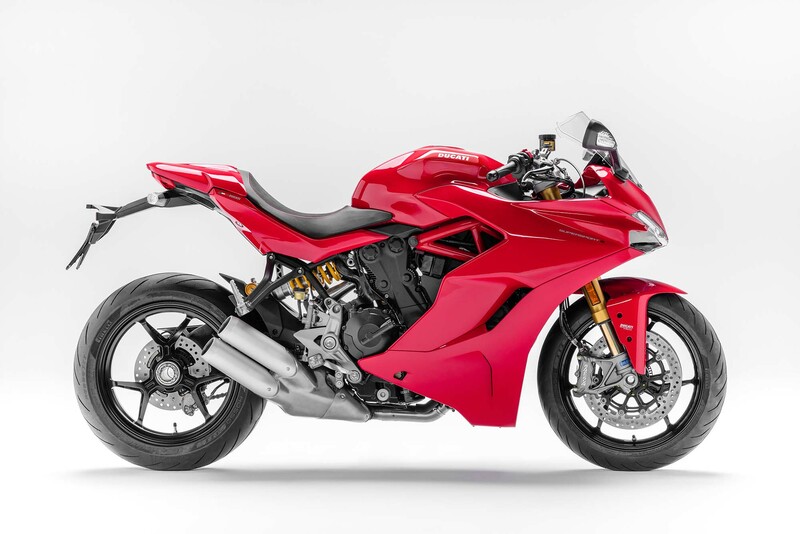 Be sure to follow our coverage for the most recent news and photos.